Imagine climbing a 3,200 foot wall of sheer granite. Now imagine doing that without a rope and a camera crew recording you. Next invite some close friends and have them watch you too. If you fall, you die. Free Solo is the 2019 Oscar-winning documentary that chronicles Alex Honnold’s journey to doing just that and living to tell about it. 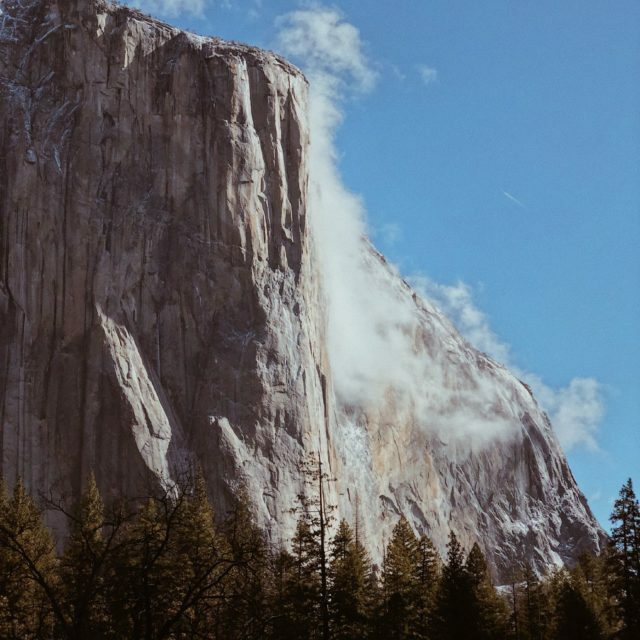 The above photo is one of El Capitan in Yosemite National Park. Even as a viewer who knows the end of the story, there are still times when it’s hard to watch. If you haven’t watched this movie, go do it. Far from a clinical documentation of doing a climb, this movie captures the emotional process of Alex’s close friends, his mother, and his girlfriend as he makes preparations to free-solo El Capitan. As a psychotherapist, I couldn’t help but see the root of Alex’s journey being so similar to every person that I see. A journey with one’s interpersonal wounds that is both a gift pushing you to places you never you knew you could go and also something that can cause great internal pain. That finely-woven place is perfectionism in this film. Free Solo beautifully captures the pains and pleasure of perfectionism. The exploration of perfectionism is one theme in the movie Free Solo. The movie asks the question, “What is it about Alex that makes him want to free solo El Capitan?” We get glimpses of his childhood, his personality, and his close personal relationships. Alex shares that one of his wounds is perfectionism. Some possible messages that a perfectionist receives as a child is, “If you don’t do it perfectly, I won’t love you”, or “If you do it perfectly, only then I will love you”, or “You’ll never be enough unless you are perfect”. This message may never have even been said out-loud by a parent, but it’s one that is synthesized from experiences interacting with a parent. Over time there may be no outside voice saying these things – only the dialogue in your mind. As viewers we can judge his parents as not meeting his emotional needs (creating a wound), and yet if they hadn’t been who they were, Alex may have never done something so exquisitely perfect and daring. The wound becomes a gift in this area of his life. This movie also shows the great pleasure that Alex receives from doing something perfectly. Watch him at the end of the movie and you see a spark of ectasy within Alex. See the light in his eyes as he contemplates free-soloing El Capitan. Perfectionism combined with determination, skill, and a warrior spirit creates a master. There is clearly more than perfectionism that is at play in creating the perfect chemistry and set of circumstances for Alex choosing to free solo El Capitan, yet it is a key element to his success. Sometimes perfectionism can become less of a gift and more of a wound in our lives. It is often in these circumstances that a person will seek counselling because they realize that no one is creating such high standards for them except themself. They realize that perfectionism in some circumstances is pleasurable and helpful but that in other areas it creates problems in their family and friend relationships, their work, or in other aspects of their lives. There can be fear that in changing that you might lose your edge. My question before exploring perfectionism, is to reflect on whether it’s creating more pain or pleasure in your life. Perfectionism may not show itself as a person who looks perfect all the time, it has many forms. My strain of perfectionism doesn’t show up in doing something perfectly, but in doing something efficiently. There can be perfectionism in doing something efficiently. Efficiency done perfectly can be a beautiful thing. It can also be highly stressful, annoying, and painful. Over time I’ve found pleasure in conciously choosing to do something inefficiently or buying an item that is more expensive and less practical. Where do you hold incredibly high standards for yourself in your life? Does it create pleasure or pain for you? What kind of perfectionist are you?